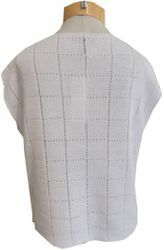 How can you help but fall in love with this new Eileen Fisher. sweater? 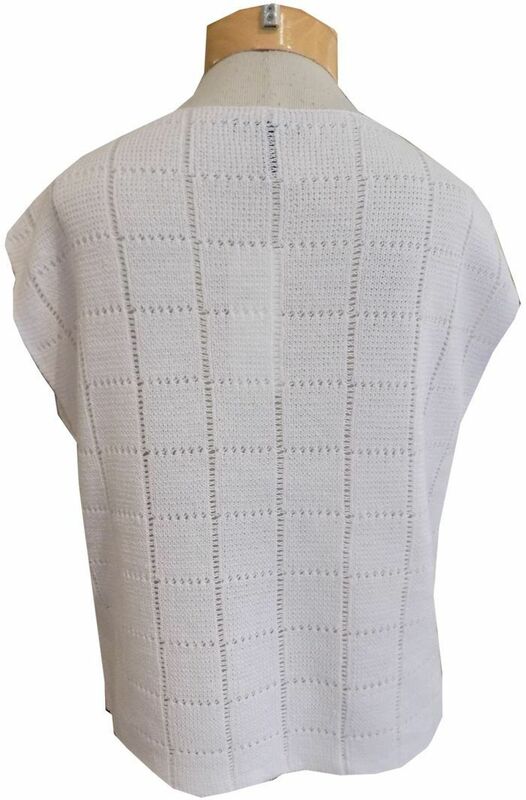 A bright fresh white linen knit, with a beautiful square grid knit detailed design. A flattering bateau neckline, cap sleeves, and an easy boxy, relaxed fit. 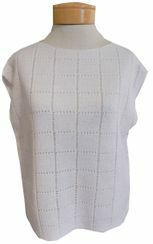 We love the semi-sheer knit, which gives you a feeling of airy elegance. Throw it over a little white cami for the perfect look. We can wait to wear this with our all white ensembles, but it's such an amazing piece we know it will step up all our basics to a higher level of cool!